O local é maravilhoso e bem localizado. O apartamento é incrível. Indico e espero voltar! 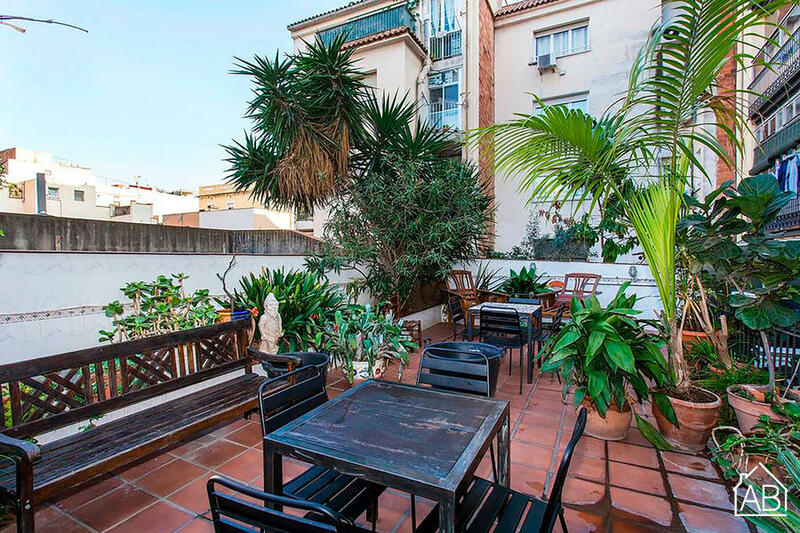 Situated in the trendy Gràcia neighbourhood just 500m from the famous Passeig de Gràcia, this large, stylish apartment offers a large private terrace, air conditioning and free Wi-Fi. Two metro stops, Diagonal and Fontana, as well as Gràcia FGC train station are only a 6-minute walk away. This grand apartment sleeps up to 9 guests, across 4 bedrooms with 5 double beds. Each double bedroom boasts a private bathroom and a flat screen television. The apartment is just an 8-minute walk from Antoni Gaudí’s Casa Milà, also known as La Pedrera, and a 15-minute walk from another of his most famous works, Casa Batlló – both UNESCO World Heritage Sites. Plaça de la Vila de Gràcia, a large square with restaurants and plenty of sunshine, is also less than a 5-minute walk from the apartment. This apartment is ideal for families and professionals. Within a short walk you will find plenty of museums, restaurants, cafés and shops. This neighbourhood is a great choice for those interested in the local culture, landmarks, monuments and city stays. AB Apartment Barcelona will exclusively pay the taxi fare to and from the apartment to AB’s office, where guests must collect the keys and check in. They also welcome guests of the apartment to leave their luggage with the AB team outside of check in hours, where it will be kept safe until check in.